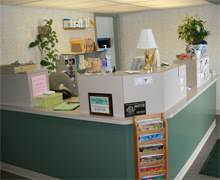 You’ll feel at home in our office! Those with a case of the cant’s. What we mean is, maybe they can’t play toss in the backyard with their child due to pain. Or they may not be able to golf, jog, bike or swim. For some, even daily activities are too difficult anymore. That’s where we come in! Persons whom follow the prescribed plan of care for their particular condition respond well to chiropractic care.